In this article, which continues the series about DUI cases in local, Macomb County District Courts, we’ll examine the 41A District Court in Sterling Heights. This is the “Sister-Court” to the subject of the last article, the 41A District Court in Shelby Township. 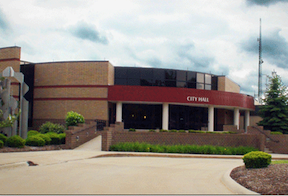 Unlike Shelby, the Sterling Heights District Court covers just one City: Sterling Heights. The 41A Sterling Court is staffed by 3 Judges. In this Court, which one of those 3 Judges winds up handling a 1st Offense DUI case can make a noticeable difference in how things play out. This is less so in 2nd Offense Cases. First, however, let’s talk about some general similarities in 1st Offense DUI Cases. In a 1st Offense DUI, a person can, theoretically, get up to 93 days in Jail. That never happens. Never. Even in the toughest Court I know of, in Oakland County, a person might get hammered with a week or so in Jail in a 1st Offense DUI. Thus, 93 days in Jail is not a realistic consequence in a 1st Offense DUI case. On the other hand, if the Probation Department, after scoring the legally required alcohol assessment test, recommends to the Judge that a series of Classes, or some kind of Treatment is warranted, a person can pretty much plan on that being Ordered. Thus, Classes and Treatment are realistic consequences in a 1st Offense DUI case. If a person is properly prepared from the very beginning, then many, if not most of those potential Classes and/or Treatment options can be avoided. This means no Jail, and perhaps even no (or fewer) Classes. This is where the assignment of a Judge can make a difference. Judge Michael Maceroni is the longest-serving of the 3 Judges. He typifies what makes being a Macomb County Lawyer so special. He’s smart, but doesn’t need to flaunt it. He speaks to those before him in clear, understandable terms. He’s far more interested in a person getting the point and staying out of trouble than anything else. He’s a straightforward, good man without a mean bone in his body. For all of that, however, once he gives a break, he expects that it will be appreciated, and not wasted. If a person on Probation to him starts testing positive for drugs, or alcohol, or gets picked up on another similar charge, they will be going to Jail. A 2nd Offense DUI Defendant can avoid Jail if they take the right step to limit the consequences in their case. DUI 2nd Offenders can also avoid the dreaded “Probation from Hell” if they secure good, solid Legal Representation and are properly prepared by their Lawyer before they ever walk into Court. Judge Steve Sierawski is rather similar to Judge Maceroni in temperament. Judge Sierawski is a former active duty Pilot in the U.S. Air Force Reserves who flew in Operation Desert Storm. He was also a Boxer while in College. Clearly a guy who is real-life tough, he’s not one to feel intimidated by anyone standing in front of him. For all that, however, his heart is big, and kind, and his mind quick, and sharp. He and Judge Maceroni tend to operate rather in step with each other. The same holds true for their approach to 2nd Offense DUI Cases. With either of these Judges, it is possible to avoid any kind of Classes and/or Testing as a result of a 1st Offense DUI case. In fact, in certain cases, the whole Probation thing can be similarly avoided. The 3rd Judge is Kimberly Wiegand. The “newest” member of the Court, Judge Wiegand has been on the Bench for over 7 years. Having come to the Court from Private Practice, Judge Wiegand made a living doing what I do. Judge Wiegand is every bit as kind and compassionate as Judges Maceroni and Sierawski, but takes a more proactive approach in cases. Her approach in a 1st Offense DUI case is somewhat similar to that of Judge Linda Davis in the 41B Clinton Township Court. She favors action, rather than reaction. This means a person who gets her for a DUI 1st Offense Case stands a better chance to wind up doing some classes and/or testing for drugs or alcohol. Judge Wiegand is more inclined to the “an ounce of prevention is worth a pound of cure” school of thought. And there’s nothing wrong with that. Given that she is flexible and open to working with, and not against, those that appear before her, she’s certainly not out to ruin anyone’s day. It’s just that she wants to make sure that anyone who comes before her on a DUI doesn’t go out and ruin someone else’s day. For all of that, and with the steps taken, it is fairly easily manageable to avoid Jail even in 2nd Offense Cases. Given that the outcome of any DUI case is, more than anything else, the result of how well or poorly the person performs on the legally-required Alcohol Assessment Test administered before the person sees the Judge for Sentencing, and that the test itself is a component of a larger process called a Pre-Sentence Investigation, or “PSI,” which is handled by the Court’s Probation Department, then the importance of the Probation Department and those who staff it cannot be overstated. The 41A District Court’s Probation Department is one of the nicest I’ve ever had contact with. Now, to be clear, Probation Departments have to be tough to a certain extent, but there’s never even been a whisper that I’ve heard about this one being anything less than decent. Given the awful reports of some Court’s Probation Departments, and less-than-glowing reports of others, this is exceptional. It is worth mentioning that recently, the 41A Shelby Court has been using the 41A Sterling Court’s Probation Department, which really is a bonus for anyone having a Shelby Case. In a 2nd Offense DUI, things tighten up a bit. When facing a DUI 2nd, it is imperative to take the right steps (and to avoid missteps) before ever walking into Court. If things are done properly, and well, then Jail can be avoided. In that sense, once the Jail thing has been removed from the equation, the outcome in any 2nd Offense case in this Court will be relatively similar, no matter which Judge handles it. Fines and Costs in this 41A Sterling Court, as in the Shelby Division, tend to be on the less, rather than the more expensive side. Taken together, then, the 41A District Court in Sterling Heights is as good a place as any to deal with a bit of bad luck and wind up with a DUI. Staffed by 3 nice, and decent Judges, run very efficiently, and housing the nicest Probation Department anywhere, this Court is a relative “gift” to anyone having to work through a DUI 1st or even 2nd Offense. 4.2 for a Second Offense.